There’s nothing like quality garden lighting to create a winter wonderland at Christmas or a midsummer night’s dream in July and August. Garden lighting can make your outdoor space stay magical even after the sun has gone down! At Burston our solar lighting area is now bigger and brighter than ever, with no plugs, batteries, or electrical expertise required. We stock a huge variety of garden solar lighting, from traditional ice orbs to brand new hanging outdoor lightbulbs. We have recently expanded our range of solar lighting with several cutting-edge designs from the Solar Centre, a local company based here in St Albans. The Solar Centre range is designed for people who want something a little more hi-tech, and a little more powerful, than traditional garden lights. We also stock a range of security lights to add an extra layer of protection for your property (and to help you find your keys when you arrive home after dark). 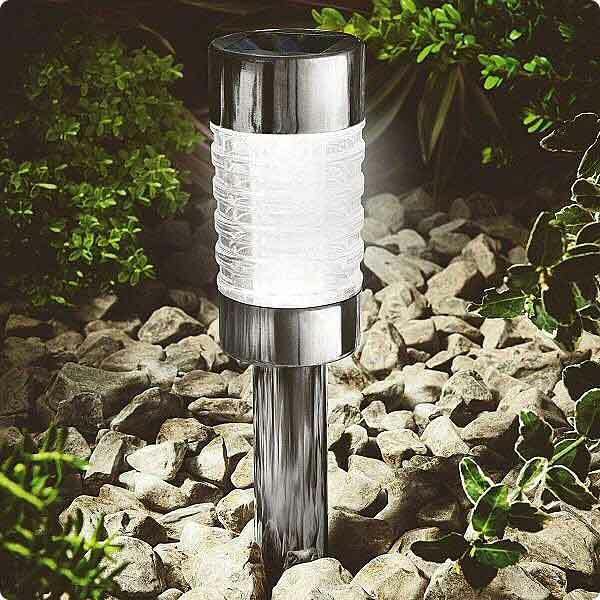 From solar butterflies to security lights, at Burston we have something for everyone’s garden lighting needs. Our friendly staff are always on hand to offer advice, so if you need tips on how our lighting works or what might be best for your own garden, please don’t hesitate to ask. Remember, at Burston it’s about so much more than quality garden solar lighting. We also stock a full range of garden chemicals (from weed killers and lawn feeders to pest control products), garden tools and machinery, irrigation equipment, essentials such as boots and gardening gloves, plants and seeds, plant pots and much, much more.